This troll is Canadian and the so-called inventors Korean. Does that help dodge decisions such as TC Heartland? Is there a precedent for that? Non-practicing entities (NPEs) are generally companies with only one asset—their patents. So why would an NPE give away licenses to the only things it can generate value from? If it seems too good to be true, that’s because it might be. Act Now For A Free Patent License! 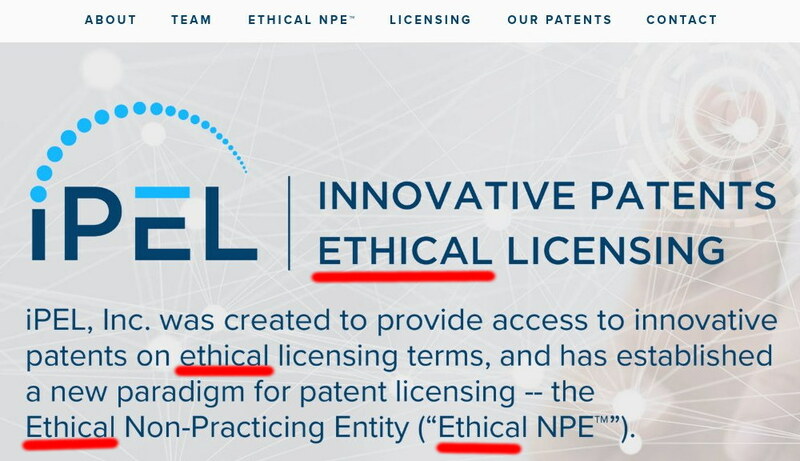 iPEL (Innovative Patents, Ethical Licensing) is a new NPE, formed by self-described “patent monetizer” Brian Yates (formerly of IP Prognosis and hundreds of shell companies—more on that below) and Rasheed McWilliams (a litigator). It’s offering licenses to its portfolio until the end of the year, and those licenses are free to companies with less than $5 million in annual revenue. Free stuff isn’t always good, and the details of the licenses suggest why they might not be all that good for the licensees.